The end of the year is just around the corner, and you know what that means: It’s time to think about New Year’s resolutions. 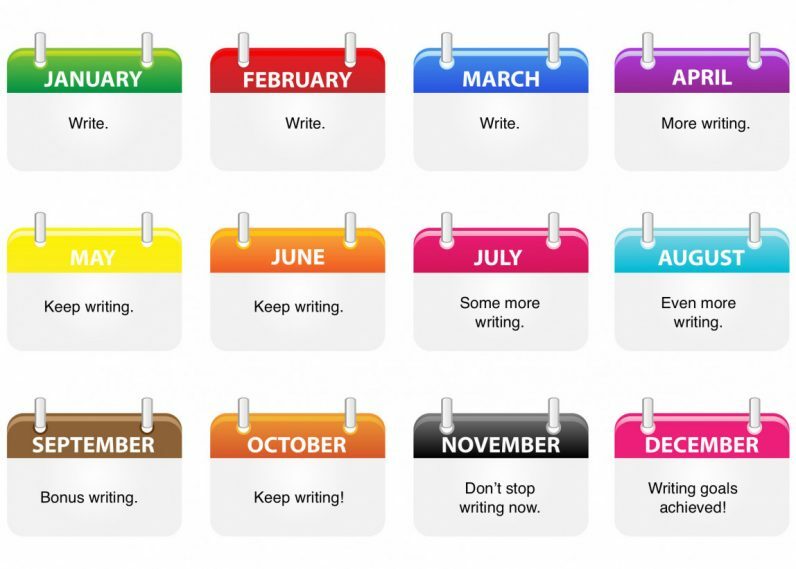 A few years ago, a friend of mine told me about how she started writing every day and how much it helped her. Intrigued, I dug up some research about the benefits of writing and doing it regularly. After coming up with a wealth of evidence, it was clear that the advantages my friend saw weren’t just all in her head. That’s why I’ve decided to make this my new year’s resolution, and here’s why you should too. After researching the benefits of writing, scientists found that when people wrote about what makes them feel grateful or composed thank-you letters to meaningful individuals, they were more optimistic and felt better about their lives. That’s probably because such exercises forced the participants to look outside of their problems and realize life is bigger than those momentary obstacles. That study outcome ties into your life, because when you’re happier, it’s easier to maintain a healthy work-life balance. Feeling unhappy often makes it difficult to remember how doing activities you enjoy makes life more pleasant — or at least causes you to forget making time to do anything other than trying to resolve your discontent. By getting into a daily writing routine, happiness could become your usual state instead of an occasional mood. Analysts have discovered the most successful people typically have daily routines. Why does keeping a routine help you get more done? It keeps you focused on desired outcomes and allows you to figure out how to prioritize tasks. Routines also reduce distractions by giving you more structure. Making writing part of your daily routine could also help you recognize your self-worth. If you’re perpetually stuck in a rut and feel you rarely accomplish things, your self-worth will gradually erode. Writing daily could unlock your creativity, in turn enabling you to understand more about your talents, traits and the other things that make you a worthy person. The saying “Practice makes perfect” applies to writing, too. Writing every day should noticeably strengthen your skills and that’s good news no matter which sector you work in. You’ve probably heard that blogging as part of your professional life could boost your career. It showcases you as a thought leader and increases overall name recognition. Research shows daily writing improves your personal life and helps you work more productively, too. You might be wondering how to get started. No worries. You can learn from things I’ve tried and see how writing can easily become a natural part of everyday activities. Below, I’ll share some of the components of my daily writing routine, discuss why they worked for me and suggest how to implement them. I love writing about things that make me feel grateful. Doing that stops me from feeling overwhelmed about the things in my personal life that I cannot control. I begin by getting a blank piece of paper creating the columns. I use the first one to list everything that’s making me feel like I can’t cope. My reasons are varied, and they range from cash-flow shortages to the helpless feeling I get when supporting friends dealing with chronic illnesses. In the second column, I write everything I’m thankful for in my life. Without fail, that section has more content in it. Even when there are a lot of things on my mind that threaten to overwhelm me, I look back at the second column and realize life is better than it first seemed. This kind of writing has made me feel more emotionally stable. If you get the same results, it’s easy to understand why that effect could help you thrive at work and in your personal life. I’m a high-strung person by nature —but I have found that my daily writing routine helps me feel more balanced and have greater clarity of thought. It seems that the more stressed I am, the harder it is to make the most of what life offers. However, the gratitude journal provides a much-needed perspective that shuts down my doomed thoughts and encourages me to seek thoughtful solutions to the issues I face. I believe writing is one of the most effective forms of communication. That’s why I spend time looking for ideas to improve the things I write at work. No matter what kind of job you have, writing is almost certainly at least a minor part of your daily duties. One of the most eye-opening things I’ve done is compare my writing with content that’s considered the best of the best. For example, I’ve never received formal training about how to write an effective email. I’ve always just tried my best to get my points across and hope the recipient understands me. However, once I started my daily writing habit, it was time to do much more than that. Now, I look for samples of different types of writing that I might need to engage in in my professional life, such as emails (love this website full of well-written examples!). Then, I find writing I’ve done recently and compare it to an ideal piece. After identifying where I’m falling short, I put a sticky note on my computer monitor that reminds me of at least one way I can improve. At the end of a week, there are no less than five characteristics gleaned from those strong examples and I’ve started forming better habits. If someone asks me what’s wrong, I have a tough time summing up what I’m feeling without rambling for at least 15 minutes. However, that problem has become less prominent ever since I started expressing my thoughts in a sentence. The prospect of doing that might seem extremely hard to grasp, especially since discussing everything you’re feeling while abiding by that length limitation is impossible. Get started by identifying the most powerful feeling or experience you go through in a day. Use that as the subject matter of your sentence. I often look back at a page full of sentences and rely on it to figure out if perhaps I’m letting negative thoughts take up too much of my time and destroy my downtime. A few months ago, most of my sentences over a couple of weeks related to not feeling good enough and otherwise feeling distraught about my perceived lack of ability to thrive in social settings like my friends did. By using this one-sentence technique along with the gratitude journal described previously, I pulled myself out of an emotional rut and got back on track. My friends noticed the difference in my demeanor in just a few days. The unpredictable nature of my job calls for me to be creative almost constantly. However, I often have trouble believing in myself. In other words, there’s a small but loud voice in my head that assures me no matter how hard I try, I’ll always fall short because other people will succeed more than I can. At long last, I started overcoming that mental block by writing about myself. I started by working off a list that featured dozens of prompts associated with my life, experiences, and traits. Some of them asked me to write about my earliest childhood memories, while others caused me to explore my best physical features or most unusual talents. After only a week of specifically writing about myself, I was given a strong reminder that I’m a wholly valuable person. That renewed realization has made me feel significantly more confident at work, even when my boss asks me to do something that takes me out of my comfort zone. The details of my life experiences, in particular, proved to me that although I may lack the practical experience others have, I’ve gone through things in life that have taught me wisdom I can apply to my workplace. This writing exercise has also made me feel more able to put myself in the running for career advancement opportunities and ask for promotions. Between the research I’ve highlighted and my writing tips, you now have good reasons to start a daily writing practice too — maybe before the end of the year! Feel free to use some of the ideas here and come up with some of your own. You’ll gradually find a mix that works well for you and helps you genuinely enjoy writing daily.